There have different BAR LENGTH & CZ size available, please choose suitable one for you. Each pack include SIX colors (silver,gold,black,rainbow,rose gold,blue),each color one piece. 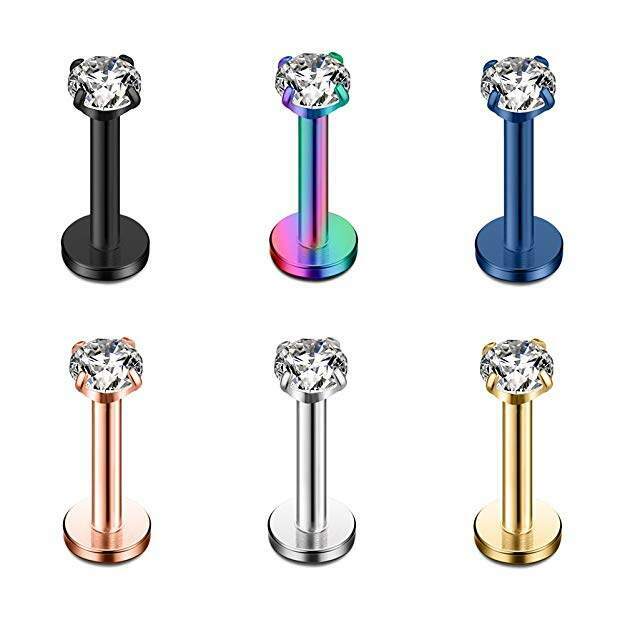 Package Includes: 6 x CZ Stainless Steel Lip Rings, come with one free gift velvet bag.